Reservations can be arranged at http://wildflowerpopup.eventbrite.com . Seating is limited so reservations are encouraged, but walk-up customers will be seated as space permits. Born in Tacoma, WA, to vegan parents, Chef Ayinde Howell has been a lifelong vegan, giving him a fresh lens to see his culinary art through. At a time when most vegan restaurants have emphasized meat-anologs and processed soy dishes as an appeal to carnivores, Chef Ayinde’s vision alternatively celebrates his food’s unprocessed source by highlighting their natural flavors, brilliant colors, and captivating aromas. 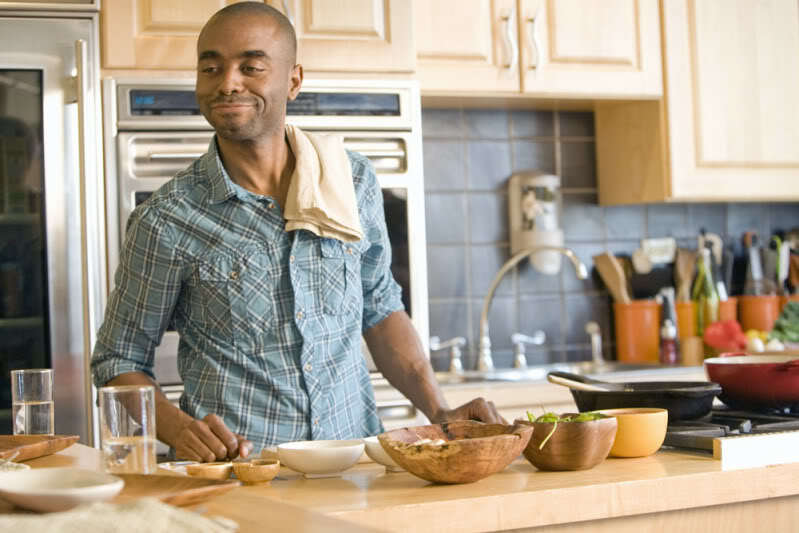 Ayinde Howell is an entrepreneur, executive vegan chef and founder of http://ieatgrass.com He has a background in a variety of vegan fare covering soul food, raw, and new American have been featured in the New York Times and Time Out New York. Ayinde got his start in Seattle as co-owner of Hillside Quickies Vegan Sandwich Shop, an offshoot of his family’s business. Hillside Quickies became a popular lunch spot known for blasting hip hop during the crowded rushes and being frequented by patrons like The Roots, Saul Williams, Common and Erykah Badu. Since his arrival in New York, Howell has served as a health consultant to celebrities, acted as executive chef at Jivamukti Yoga School, cooked for media mogul Russell Simmons, and has demoed his vegan cooking on BET’s popular ’106 & Park’ music hour. The Sparrow Project is pleased to announce http://vegancorner.com. Two weeks ago we broke the seal on the rumor jar confirming that there would in fact be an all-vegan alternative to the popular reviews website “yelp*” After a year of coding, programming, and countless bottomless cups of fair-trade coffee, Adrianna and Nathan Pope did it! Vegan Corner is the fruit of their labors, an interactive social media platform that exists to make vegan food, vegan culture, and vegan fashion more accessible to the public. Vegan Corner helps you find the nearest vegan cafe, the cutest wool-free winter coat, and connects you with the events of an ever-growing ethical subculture! Vegan Corner is a great way to connect aficionados with their favorite tastes and interests by locating all the best places and events to be at. Vegan Corner also has an extensive listing of all cruelty-free products to boot. Need to find the perfect gluten-free chocolate cake mix? Searching for a soothing lip balm? Or how about a yummy treat for your spoiled pup? It’s all here in one spot. In fact, Vegan Corner exclusively lists only companies that do not test on animals, so you won’t have to worry about desperately searching for the cruelty-free symbol when you’re at the market. “Vegan Corner is an amazing new structure for connecting ethical businesses with those who care about living a lifestyle that makes the world a better place for animals… it’s a great way to directly get us in touch and grow the vegan market to show the world how wonderful and easy it is to be compassionate and cruelty free.” says Leanne Mai-ly Hilgart, owner of Vaute Couture, the first vegan fashion label for winter dress coats warm enough for below freezing weather. As if it can’t get any better, Vegan Corner currently has a i-Phone application in the works! Being an “on-the-go” vegan just got easier. Two weeks and counting, and the vegan world will surely be impacted when convenience meets social networking at its finest. Find new places to go to, write reviews, and connect with other people in your city. Don’t delay, sign up at vegancorner.com right now and be the first to review your favorite and not-so-favorite place on December 1st. For additional information, email Andy Stepanian at andy(at)sparrowmedia(dot)net or contact pr(at)vegancorner(dot)com. For bloggers who wish to cross-promote with Vegan Corner for free, please email admin(at)vegancorner(dot)com with “LINK SWAP” in the subject heading. VeganCorner.com, an online business directory exclusively for vegans searching for a cruelty-free place to dine, shop or hang out at, is scheduled to launch on the first of December, and benefits the animals by donating 10% of profits every month to a charity. Long Island Food Not Bombs, in recent years has re-defined food sharing programs, constantly outdoing similar programs and even themselves with the quantity of food shared, it’s quality, and the community participation the sharing inspires. There has never been a Food Not Bombs chapter that has exponentially grown this way, and in LIFNB’s growth something beautiful is happening. Next week LIFNB will be hosting a series of events, the largest will be their all-vegan Thanksgiving Food Share, if you are able to attend please do. If you live far away and are reading this, then get inspired and go out and do your own event! Please take a moment to watch the video and then read LIFNB’s update below. Share it with friends and get involved! “Starting November 20th and going through November 25th Long Island Food Not Bombs will be holding its largest endeavor to date; it will include parties, Food Shares, copious amounts of decadent foods, the sharing of clothing, books and the organized efforts of thousands of community members. The largest of all these events will be Vegan Thanksgiving. It’s a 2-day affair that starts as an all night cooking party, (on Nov.20th, everyone is invited) and culminates into the Vegan Thanksgiving Food Share the next day in Hempstead (“the Hempstead Food Share Bonanza”). Please Spread the word! This is our most ambitious project to date and to pull it off we are going to need your help, your friends help and even the help of their friends. Solidarity is what makes Long Island Food Not Bombs so strong and we ask that you help us make these events even more absurdly inspirational than we could ever imagine.